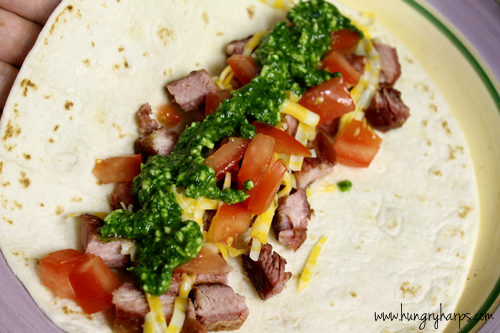 I believe at some point in my life I said the following: "How can anyone eat Cilantro?" 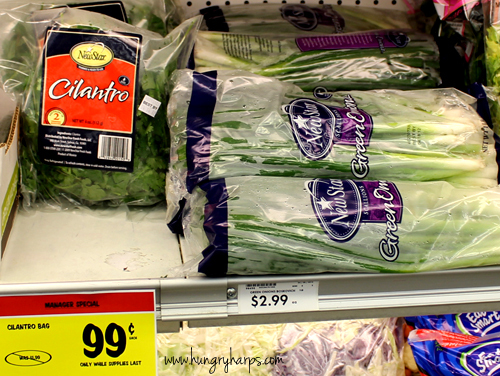 Now when I see Cilantro on sale, I can't grab it fast enough. I just snagged a bag of Cilantro for .99, and it was the equivalent of 2 bunches! 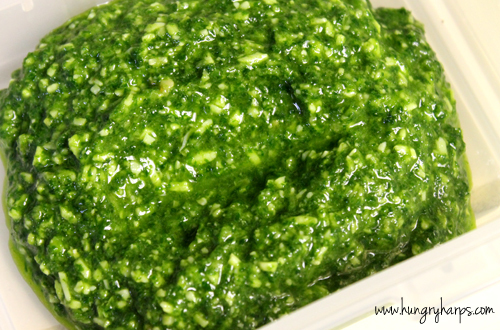 I am in LOVE with Pesto, so I decided to make it - but substitute cilantro for the basil. It was heaven on my tastebuds! 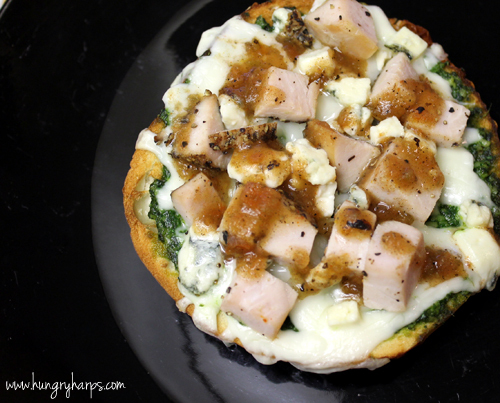 Bagel Pizzas with Cilantro Pesto, Mozzarella, Crumbled Blue Cheese, Chicken and Salsa. Scrumptious! 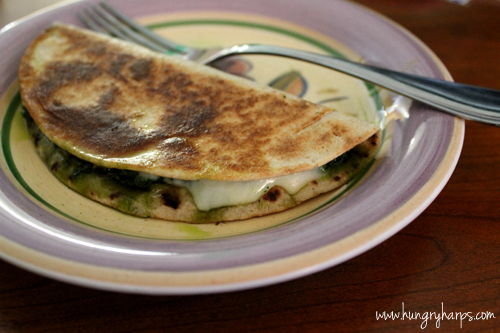 And last but not least, Cilantro Pesto and Mozzarella Quesadillas. The perfect little snack! I love cilantro! Definitely gonna try this. I used to feel the same way about cilantro but the more you try it the better it tastes. Love that quesadilla! 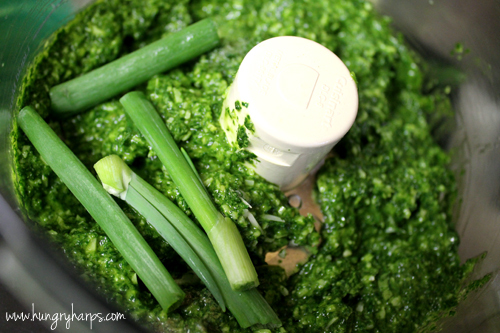 I love making homemade cilantro pesto! One of my faves! This looks great! I like to make a big batch and freeze. Just used some tonight in a salad dressing. Glad to see few other people other than me liking cilantro. Being an Indian decent, I just love the cilantro flavor. 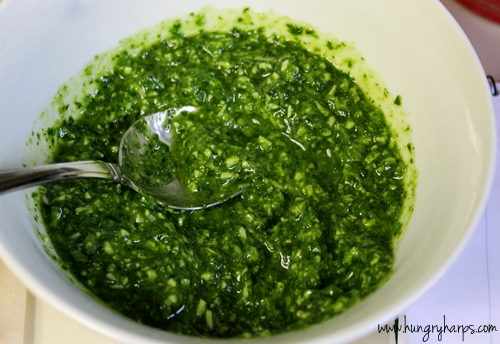 You can also use this pesto as a chutney for sandwiches. great for lunchboxes. If someone like spice, just throw in a seeded jalapeno for extra flavor. Visit my blog 'My Cooking Journey' at http://eastrwestkitchenisthebest.blogspot.com/. Thanks. That looks amazing! 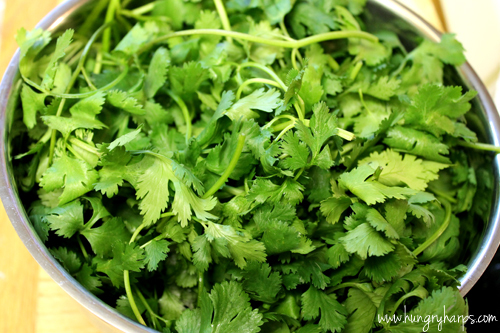 I find it weird how some people can't eat cilantro, but I've read it's due to genetics. 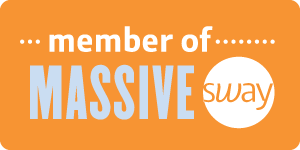 Some people taste it differently. 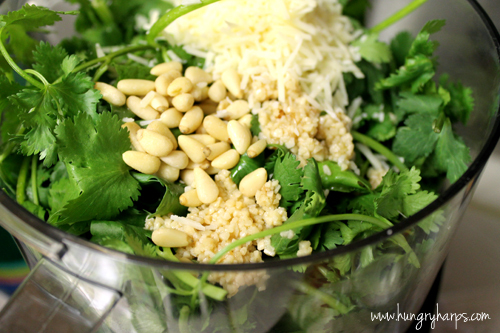 We love cilantro! Rick is half Mexican so it's a must-have for him.